To use any of the links below, copy the code to it's right. Links are set to open in a new window or tab. Hypersweep - Thousands more sweepstakes and contests! As seen on <A href="http://www.hypersweep.com/land1.cfm" target="_blank">Hypersweep.com</A>! You may also be interested in using our our affiiate link program. 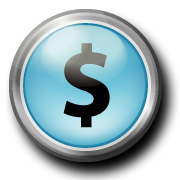 You will earn $10.00 for every new member that follows your link to this site! Click Here for our affiliate program on ShareASale.com.